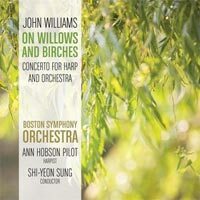 Watch the video exclusive of "On Willows and Birches". 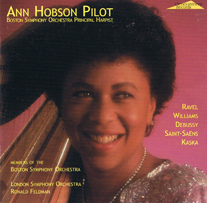 This recording was made possible by a generous grant from Mrs. Willona Sinclair, who together with her husband, Donald, have endowed the principal harp chair of the Boston Symphony Orchestra which is currently occupied by Ann Hosbon Pilot. 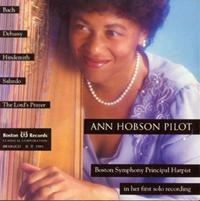 In September, 1993, Leone Buyse relinquished her position with the Boston Symphony Orchestra to become Professor of Flute at the University of Michigan and pursue a more active solo career after 22 years as an orchestra musician. Acting principal flutist of the BSO since September, 1990, she was invited by Seiji Ozawa to join the orchestra in 1983 as assistant principal flutist of the San Francisco Symphony and played piccolo and flute with the Rochester Philharmonic Orchestra. The only American finalist in the 1969 l'Orchestre de la Suisse Romande, the Boston Symphony and Boston Pops, the San Francisco Symphony, the Utah Symphony, the Rochester Philharmonic, and the New Hampshire Music Festival, of which she was principal flutist for ten years. Highly active in chamber music, she has performed with the Boston Symphony Chamber Players throughout Europe and Japan, with the Juilliard and Muir String quartets, the Boston Musica Viva and Chamber Music West, and at annual conventions of the National Flute Association. As a member of the Webster Trio, she has appeared frequently with her husband, clarinetist Michael Webster, and pianist Martin Amlin. Ms. Buyse has taught at the New England Conservatory, Boston University, Tanglewood Music Center, and the Boston University Tanglewood Institute, and was visiting associate professor of flute at the Eastman School of Music in 1985. She has presented recitals and master classes at universities, conservatories and festivals across the United States, as well as in Canada, Japan, Greece, and Turkey, and is in great demand as an adjudicator and clinician. 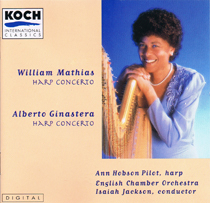 She may be heard as solo flutist on numerous recordings of the Boston Symphony, the Boston Pops and the San Francisco Symphony for the Philips, deutsche Grammophon, RCA Victor, and Sony Classical labels. In 1993 Crystal Records released her first solo recordings. 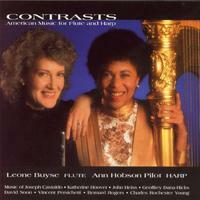 "The Sky's the Limit," a compact disc devoted to twentieth century American flute music. A native of Ithaca, New York, Ms. Buyse was graduated with distinction from the Eastman School of Music, where she was a student of Joseph Mariano, and continued her education on a Fulbright grant, studying in France and Switzerland with Michel Debost, Jean-Pierre Rampal, and Marcel Moyse. She holds and MM degree and 1992 Distinguished Alumna Award from Emporia State University. Also an accompished pianist, she served for two years as accompanist at Rampal's summer master classes in Nice, France.